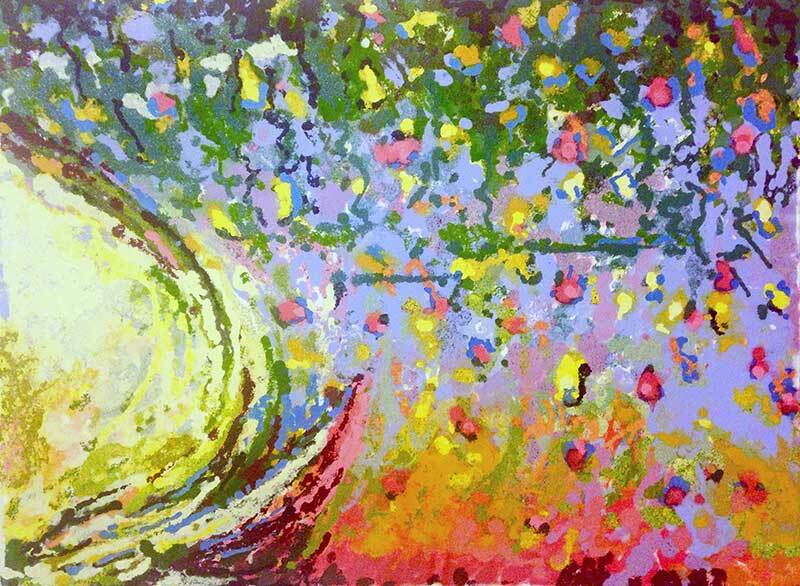 Sarah Landström is a realist painter who searches for organically occurring abstraction in Nature. 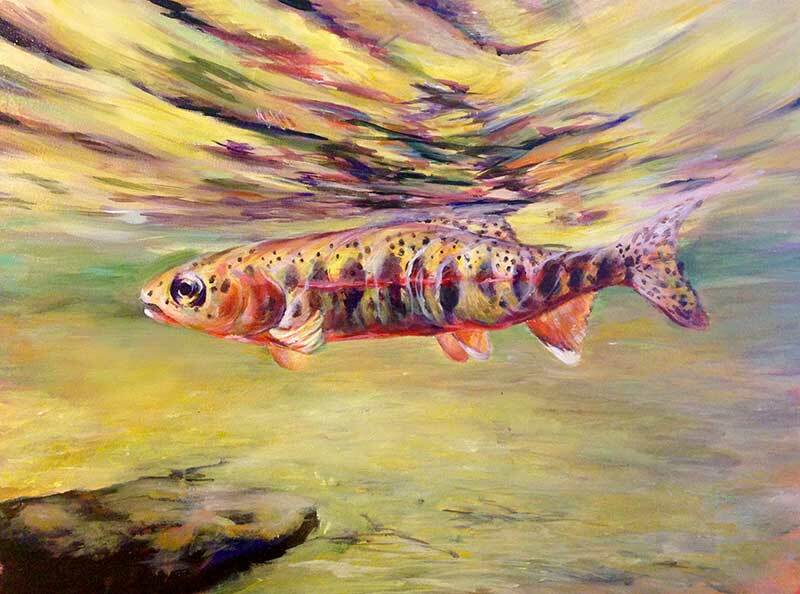 Her practice primarily focuses on trout and similar species, looking at color and pattern variation. 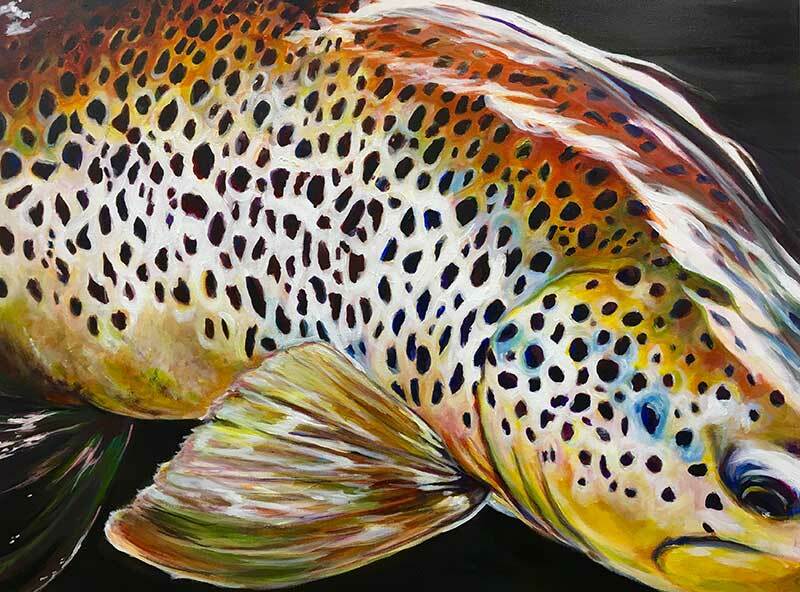 In her own fly fishing practice, she observes and absorbs the gestures of the fish, then translates them into paintings. 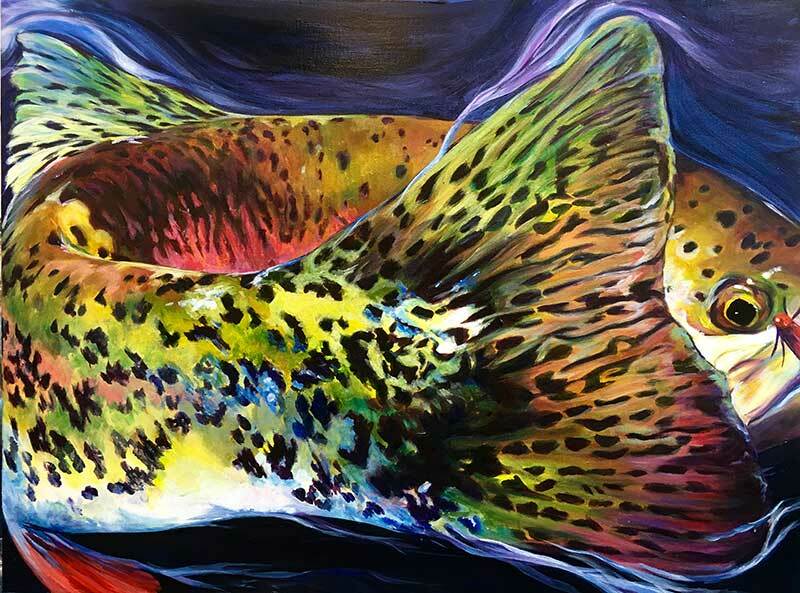 Working in acrylis, she develops subtle color-laying to mirror the reflective bodies and movements of the fish. 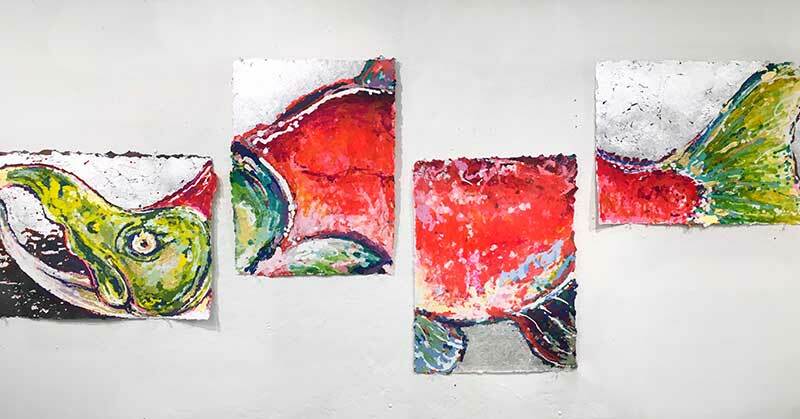 Similarly, she uses dyed paper pulp to create marbleized imagery that replicates the zoomed-in details of the body. 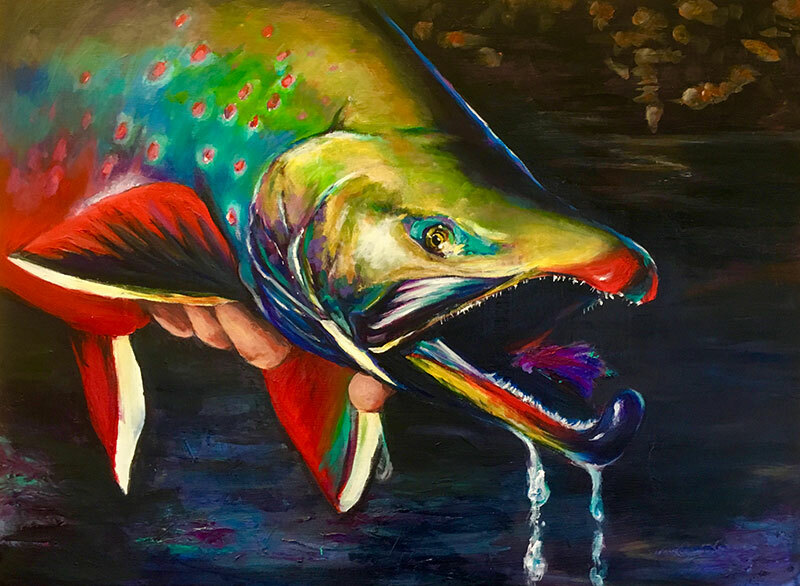 Having just completed her BFA at the School of the Art Institute of Chicago, Sarah is looking to travel to Alaska, Western Ireland and Northern Sweden to work with local fishermen and gain inspiration while expanding her work with fish patterns.